Live on-bike footage was broadcast for the first time in history during the track cycling world championships in Paris last week, and the company behind the innovative project has said it will make it to road racing in the future. “The challenge for road racing isn’t the camera itself, you can get the weight down, the challenge is the transmission.” Said Julien Bertin of production company HBS. The four cameras used in Paris were custom made and a bit crude with gaffer tape holding the cables in place, but this whole project only started two months ago. “It was a huge achievement from our technical partner, us and the UCI. We could only build four cameras,” Bertin said. In the races where these were used other bikes were equipped with GoPros or dummy cameras, In the name of fairness. Footage from the GoPros was saved for later use. “There was a bit of reluctancy at first from the teams,” Bertin said. “If you look at track cycling the aim is to be aerodynamic and light.” HBS and the UCI started by contacting the teams and asking them to send a version of their seat posts. With them they created custom, 3D printed brackets to fit each seat post. 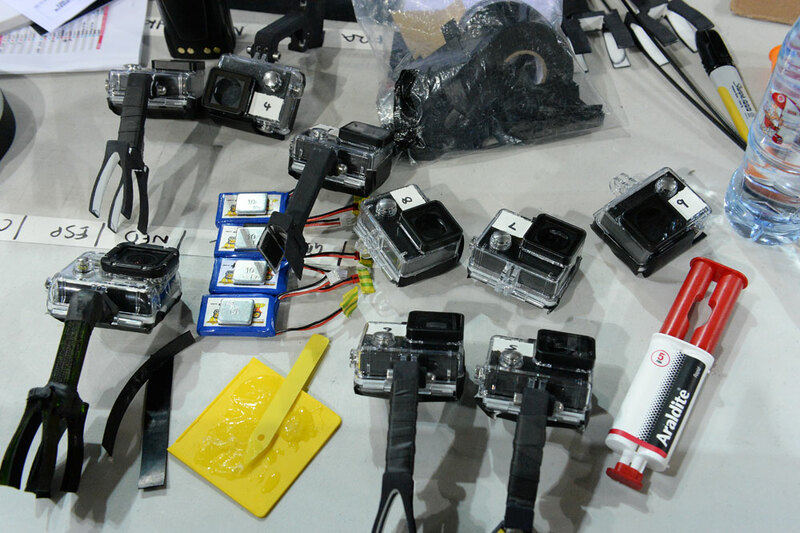 The GoPros and dummy cameras, with a few quick fixes, wait to be fitted to bikes. The brackets had to be light, strong, keep the camera away from the riders legs and not move or rattle. 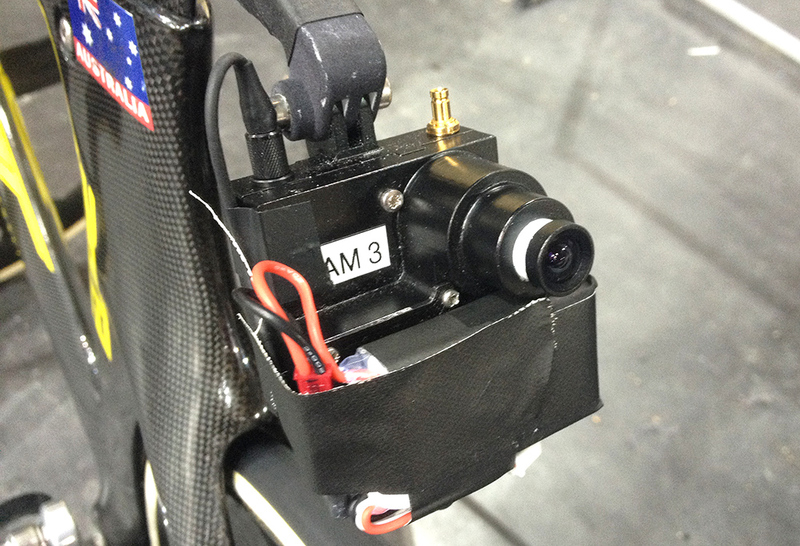 “All the tests we conducted with riders, no one ever said they felt the cameras.” Said Bertin.